(Carry over from 2009) Petey, age 12, came into Rescue because the two-year-old he was living with was mistreating him. Mom couldn’t control the boy and she didn’t want Petey to have to live in this environment. Petey also had an extreme issue with a gassy tummy which made him very unpopular among the family’s children. He arrived in Rescue on Friday and saw the vet on Saturday. He has been moving to a new food, and perhaps the more relaxed environment has helped, but he has not had gas problems. He did have tape worms which may also have been a contributing factor. His ears were infected and he had a cracked tooth which was pulled when he had his dental. 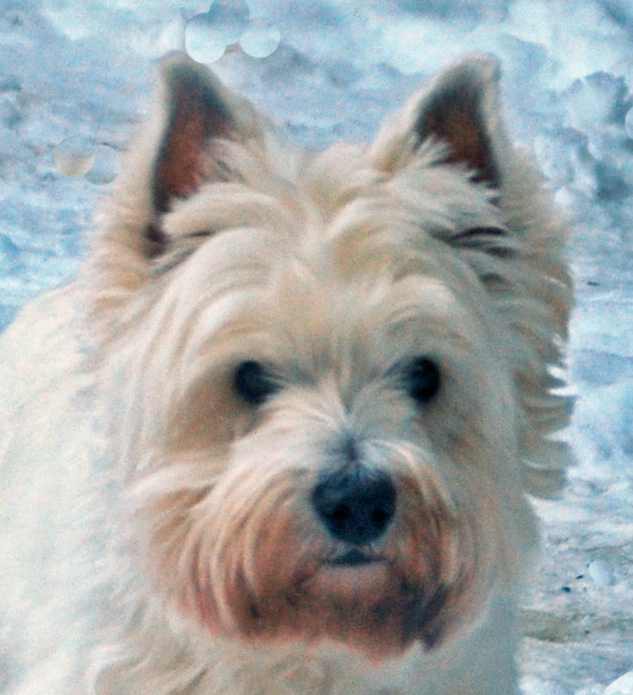 We have learned that Petey is in the beginning stages of “Westie Lung Disease” also known as Idiopathic Pulmonary Fibrosis. (Topic #3). We understand that at his age this is a less aggressive although progressive disease. Petey’s new name is “Sweetie Petey” because he is absolutely sweet and happy. He gets along well with children, dogs, cats and everything else he has run into. Even the little boy who was kicking him did not succeed in getting him to bite. We hope we will find someone who will love to have this sweet little boy as part of their life. It will need to be someone with a very big heart who is willing to take a little boy who has not had the best life and give him a wonderful “late” life. He deserves the best! NOTE: Petey’s illness is progressing. We expect him to stay in foster care as long as he has some quality of life. Toby, age 3 years, came to us when his family divorced and no one had time for him. It seems he spent a lot of time in the basement away from the family. He is now learning to not be fearful of normal home living. He was not fully housebroken so we are working on that also. He is in his “puppyhood” now because he was never really allowed to have a normal one in the past. 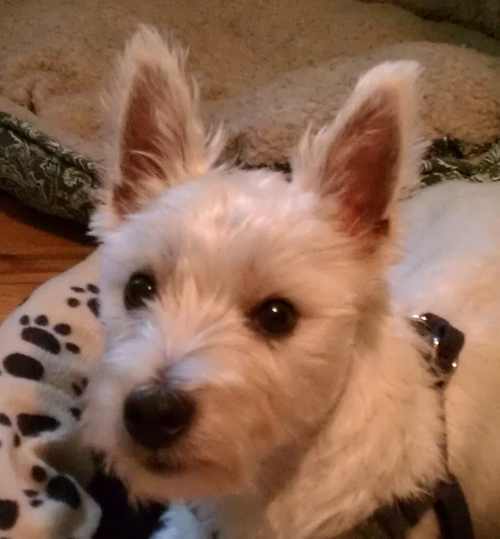 He does love to play with the foster home’s Westie and is learning when “enough is enough”! 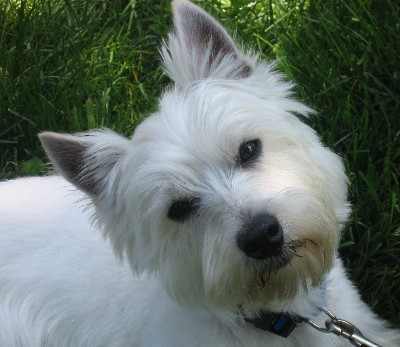 He has moved from a dog who was afraid to pee in the grass to one who is acting more and more like a normal, active Westie. 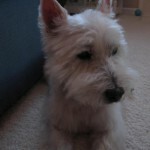 At this time, Toby is living in foster care with 5 dogs and 4 cats and is doing very well. 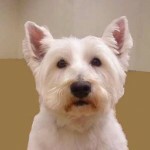 He tends to be a barker but this has calmed down considerably and he is feeling much more secure now in a home where he is wanted by all members. 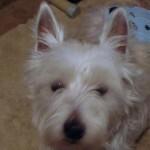 He is now a 3 year old “puppy” which means that he needs a family who can understand his behaviors as those of a puppy. Because he continues to have multiple issues, he will remain in foster care for a long time to come. If/when he becomes available for adoption we will repost him; but we don’t expect it to be this year. Stevie, age 6, came into Rescue from a Vet in Fort Gratiot. The owner could no longer afford his care and the vet did not want to put him down. She kept him while she treated a skin issue and then we were contacted. Stevie is now in care and doing very well. 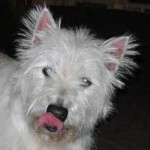 He gets along nicely with the two female Westies in the foster home. His skin is being treated with Atopica and progressing well. Terry, age 10 years, came in to Rescue because her family no longer wanted her. They had moved from a home with a doggie door. Terry hadn’t been taught how to let them know when she had to go out and they didn’t want to train her. Also, they had no fence and she would “run”. After a short discussion, we took her in to care. 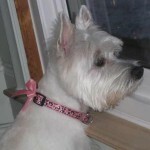 She is doing well in her foster home and is getting along with 5 other dogs. She uses the doggie door. She does not seem to expect affection from people but is starting to come around. She would love a home with someone who would give her some time and attention. She deserves a good “rest of her life”. Terry has now been adopted. Itsy, age 16 weeks or less, was given away by a pet store owner who said that someone brought her in and asked him to find her a home. He told the family who took her that she had a minor heart murmur. They took her because she was living in a dark storeroom and she was coughing and sick. They had her treated for bronchitis and she recovered. But their vet said that her heart murmur was more serious than they were originally told and that she would eventually need heart meds. This was a single mom who just could not afford the costs involved in caring for a sick dog. With much heartbreak she and her daughter brought this little girl to Rescue. We are calling her “Itsy” as in “Itsy Bitsy Pupsy” and will let her adopter pick out her name. We questioned if she is as old as we were told. She has lost some teeth so it is possible but she only weighs just under 5# at a full 16 weeks of age. She is perky and busy most of the time. At 25 weeks of age, Itsy is a happy little girl. She does have a heart condition which will be closely watched. While she is young, no firm prognosis can be made. She now weighs 9.5# and has been spayed. Itsy has been adopted. 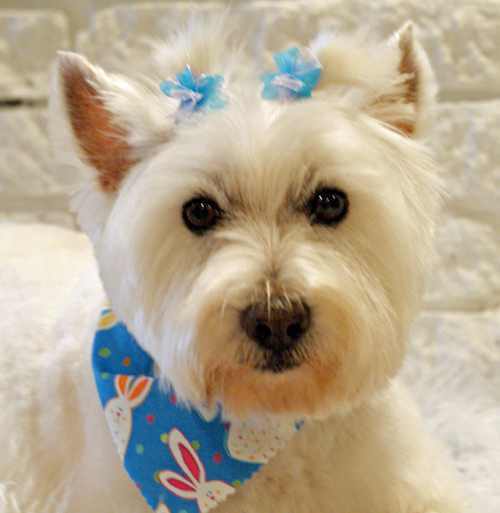 Snowflake, age 12 years, was left at a shelter by her family. We don’t know why. 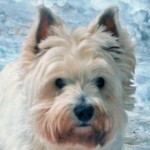 Snowlfake is a larger Westie. On her first day in her foster home, she has been very quiet and settled. She lost one eye, we are told, from a Coyote attack! What a brave girl, she must be, to have survived that! She is living with other dogs without any issues. This older girl deserves a chance to live out her life with a loving family. Will you give her a chance? Snowflake has been adopted. Maddie, age 3 years, was surrendered by a lady in an abusive situation. At Christmas the husband kicked the wife out. Then he left for a week, leaving the dog behind alone. When the lady got a restraining order and got in to get Maddie, Maddie was cowering and hiding. We were told that he had also been known to hit the dog. The owner and Maddie moved to Michigan where she had relatives. But she was unable to find a job and had to move back to her original state to return to her old job. She had nowhere to live except with a relative who would not let her have the dog. She called us, heartbroken, but knowing that this was the only thing she could do that would be fair to Maddie.Maddie is now living in foster care. 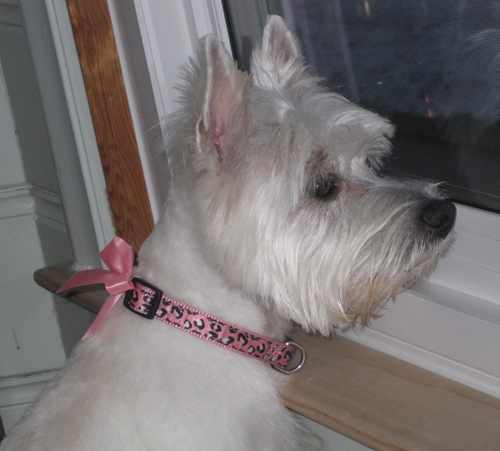 She is doing well in a family situation with two other Westies. She is playing and overcoming her fears. We did change her name so she can start a new life without reminders of the abuse. Maddie has been adopted. Charlie, age 1.5 years, came into Rescue because his owner had lost her job and he was not doing well with a couple large dogs belonging to her children. She could no longer afford his care. Charlie was a great little foster teenager. He was placed in a new home with two cats and everyone is getting along nicely. Charlie enjoys traveling to visit relatives and going up north to the cottage. He’s always ready for a ride and enjoys long walks with his new Mom. Theo’s age 8 family gave him up stating that he needed a fenced yard because he runs away. 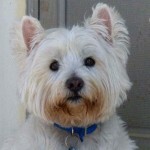 Theo is being fostered in a home with three other dogs. He is doing quite well with them. He is afraid of the camera but foster mom managed to get a photo of him. 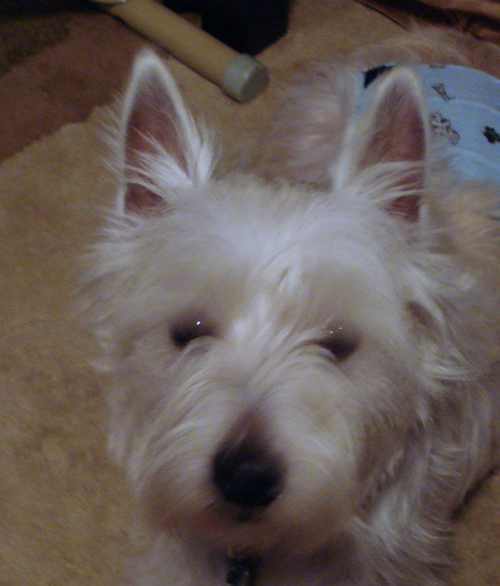 Nelson (now called Buddy) (age 5) was given to a shelter. The shelter told us the family had had him only for six months. He is fearful and shy which is probably why he didn’t “fit into the family”. The shelter asked us to take him because the shelter environment was too scary for him. Buddy is a very nice little guy but very shy. The first day in foster care, he collapsed flat on the floor whenever his foster mom walked near him. He is now neutered and he has had a dental. 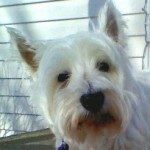 He is living well with two Westie females. Buddy will probably do best in a quiet home environment where he can feel very secure but he has been becoming more and more relaxed in foster. He is currently enrolled in a class which is helping him to work through some of his fears and become more confident. His new family will have some work to do in cultivating his trust. But they will find they have a very loyal little boy if they put in this effort. Buddy has been adopted by previous adopters and renamed “Monk”. Buttercup was placed by us in 2008 when her mom was very ill. Now in 2011, her adopter passed away. Buttercup is 11 years old and diabetic. She is a nice girl who was a great comfort to both of her moms, staying at their side in their final hours. Now she needed and deserved a wonderful new home. Buttercup was adopted by the vet tech who had been caring for her. We are hopeful this will be her last move. Nicholas, age 3 1/2, was owned by a lady who had too many dogs. Her neighbors were complaining. She agreed to surrender some to Rescues. 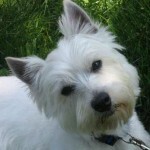 Nick was the only Westie so he came to us. Nick is a young boy but he is very overweight. He weighs 33# and is now on a very careful diet to become the “biggest loser”. We hope we can get his weight down to a healthy level but it is going to take a while because there is a lot of weight to lose. As he loses this weight, he will begin to show us his real personality so that we can make a good match for him to a new family. He also had an injury to his toenail and mats between his pad which made it very hard for him to walk. In fact, on his first walk, his paw began to bleed. Now that we know about it, it is being taken care of and healing. 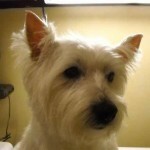 Nick is doing well in foster care and getting along with the resident Westie. 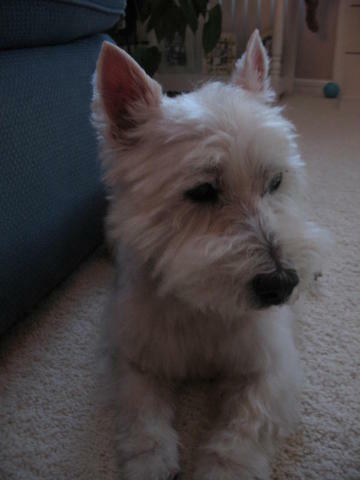 Nickolas (Mr. Big) has lost a good deal of weight and it brought out his Westie personality. He does have some skin issues which are being treated. As he became more active, he showed us a patella (knee) issue which was repaired. Click HERE to read about a fundraiser done for him. After his recovery, he was adopted and doing well in his new home. 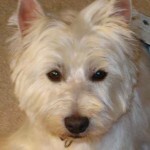 Maximus, age 5, was taken to the vet to be put down because his owners felt they could not afford medical care. The vet kept Max and a shelter got him to us. 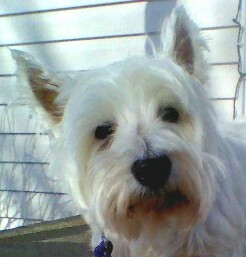 Max is a very sick little Westie. He had stopped eating about 6 days before we got him. When he arrived, he could no longer walk. His back legs gave out if he tried to take a step. He has an enlarged heart, allergies, ear infections and other issues going on. After we started treating his infections, he began to eat. It is our hope that he will gain strength and be able to walk again. When he eats and his infections are under control and he has more strength, we will be able to deal with other issues. Despite his very serious illness, he is a sweet little boy who very much wants attention and love. We hope that we can help Max and give him the care he needs to become well. But if we can’t make him well, we will give him what will clearly be the best days of his life for whatever time we have him. Unfortunately, his initial recovery was short lived. He got even sicker and after a consultation with a specialist, we had to let him go. Max most likely had a disease called Myasthenia Gravis. In June, we took in a Westie/Bichon mix. Chloe was 7 months old at the time. She was surrendered to a shelter because she was “nipping” at the FOUR two-year-old’s in the home. However we suspect the real reason she was surrendered was due to the discovery of a liver shunt. The owners declined to take her to MSU for further investigation and were feeding her a special diet along with some meds. Unfortunately, this isn’t sufficient to care for the issue and the cost involved in doing the tests to determine if it is an operable shunt is expensive. Before we could do the testing, she got very sick with a flu-like illness and had to be hospitalized. It is likely that her immune system was compromised by the liver shunt and that is why she got so sick. 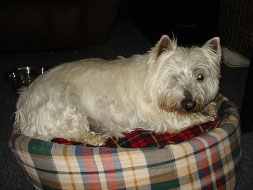 Another Westie who was rescued in 2001 by one of our foster families, had gotten very sick with similar symptoms just prior to this. He had been rushed to the hospital but did not survive. 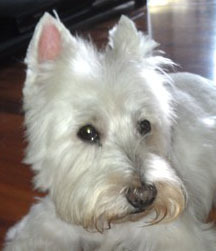 Glennie received many donations to Rescue in his memory. His family asked that those funds be used to pay for Chloe’s emergency hospitalization in hopes that she would recover even though he did not. 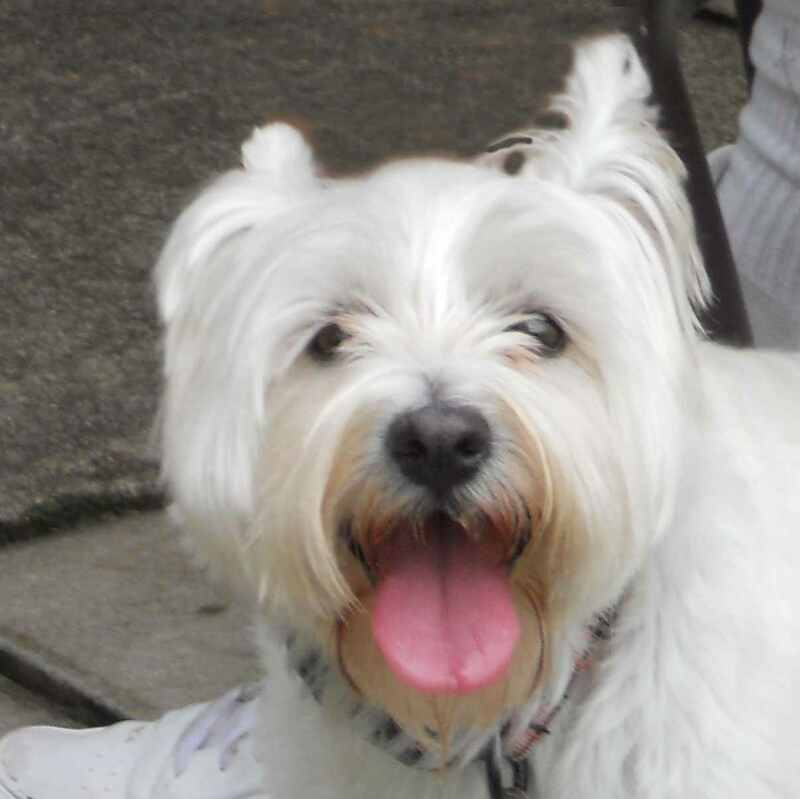 We hope that Glennie is able to watch from the Rainbow Bridge and see little Chloe run and play here on earth and know that her life was a gift he was able to give to her. Finally she was well enough for the tests which showed the shunt to be operable and she had the surgery. 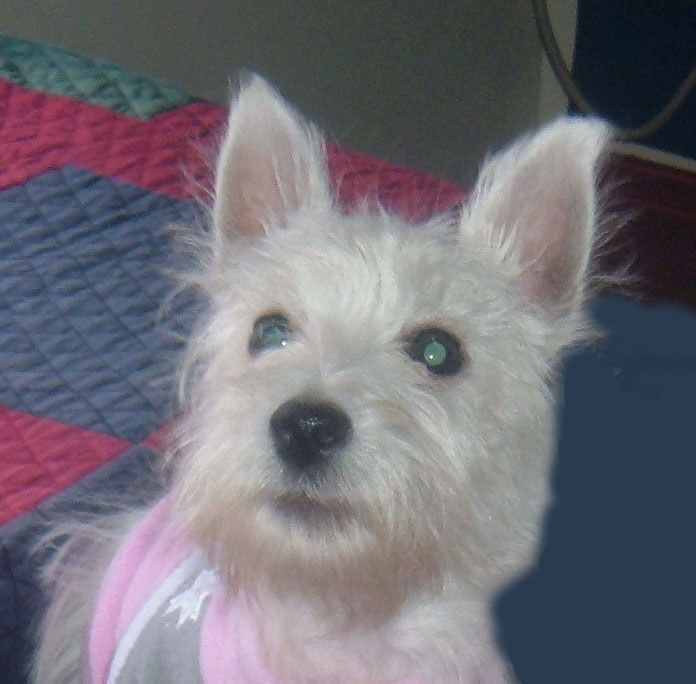 Then she spent a few weeks recovering from the surgery and learning to be a normal little dog. Finally, in October she was adopted and we expect she will now live “happily ever after”. 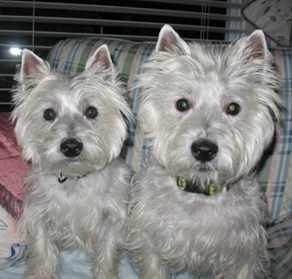 MacTavish (front) and Macy (back) were found as strays and no one has claimed them. They are about 5 years and 1 year respectively. They have obviously been cared for and loved so we are at a loss as to why no one has been looking for them. They were not microchipped so there is no way to get them back to their home. 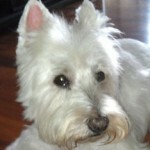 These are very well adjusted, happy little Westies who love to play and love each other. 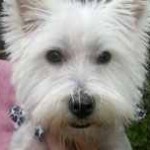 Mac has a loose kneecap which is not an uncommmon issue for a Westie. Normal vet advice is to not “fix” them unless the dog is in actual pain but it is likely that it will eventually need to be repaired by the adopter as the dog ages. Macy is very small, perhaps 12-13 pounds. Because of their bond, we would like to try to place these two together. Because we just got them in, we still have to do their medical which will include a spay and neuter. And we will update their shots because as strays, no medical history came with them. This normally means treating them as though they have never had any shots and doing their shots followed by boosters. And Mac may need a dental. 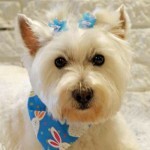 When they are groomed we will try to post a new photo. Previous adopters cared for these dogs when they were found and then turned them over to a shelter so their owners could have a chance to find them. Arrangements were made with the shelter to make sure they came to Rescue once they were legally available. Thanks go to these previous adopters. July: Mac and Macy are now in their new homes and doing well. Noli came into rescue in mid-July. She was seven in April of this year. She is a healthy, slightly overweight, and spayed, little girl. Per the Foster Mom, “Of all the fosters *we’ve had, this one is amazing. She ate dinner within hours of moving in. She laid down with the girls within two hours. She sleeps in anyone’s bed she finds. 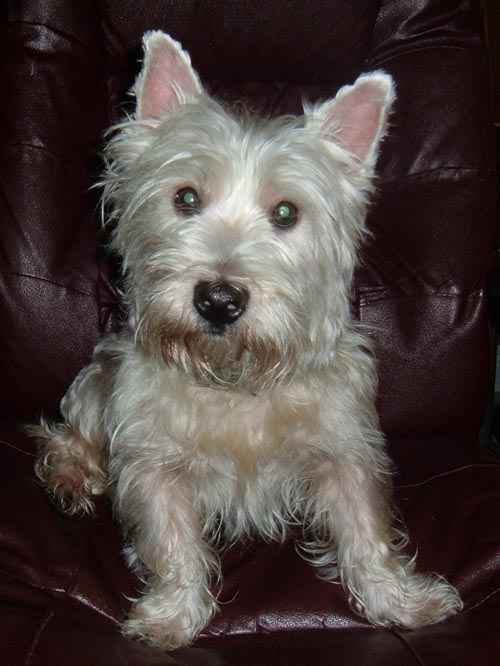 This is one laid back westie. Her owner works full time, goes to school evenings, her daughter and 7-year-old grandson moved back in with her. Noli wasn’t adapting well and her separation anxiety was creating havoc. She was peeing and pooping in the house. She lost two front teeth trying to chew out of her crate. She was getting destructive. 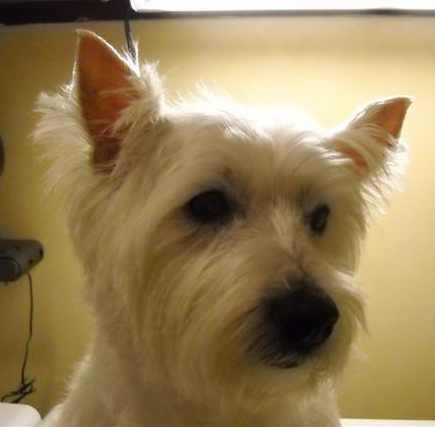 Her owner felt she was not happy and needed a better situation to live in.” We believe that given a calm, adult living situation, Noli will be a wonderful pet for some lucky family. Noli has now been adopted. 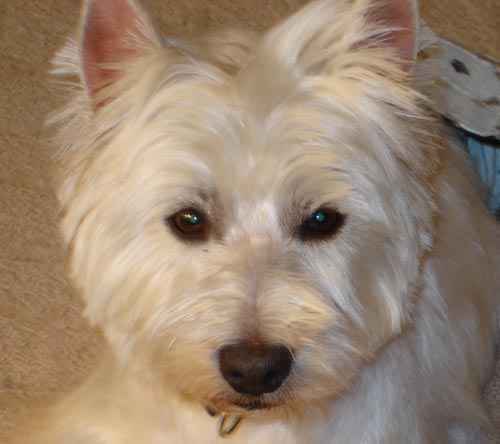 Wesley (now called Duffy) came to us from a shelter on the west side of the state. There was a family who had expressed interest in adopting him but then they began to realize he had medical issues. He came in as a stray and we were told he was about 5 years old but we are guessing maybe 11 years. 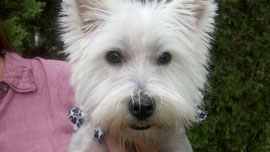 Duffy had very badly infected ears which resulted in total hearing loss. He has a fatty tumor which does not require any attention at this time. It is just something that frequently occurs in older dogs. Since being in foster care and having had his medical attended to, he has really perked up and has a “spring in his step”! He loves to be chased in the house. He has an occasional accident so his foster home has to be very vigilant about taking him outside right after meals and sometimes in between. He only barks when he is hungry. He likes to rest in his little bed. Bailey, male age 12, went to live with the son of his owner when the owner had to move in with his daughter who already had 2 dogs and 2 cats. However the son had to leave Bailey alone for 13 hours a day so he decided to surrender Bailey or put him down. We took him in and will got him to the vet to investigate some issues. Initially, he was a bit ‘nervous’ but now is doing well. He had been fed “whatever is on sale” so we got him on a food to help with his joints (J/D) and he will be on Rimadyl for life. He had a dental and his ears were treated. 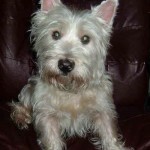 Bailey needs a home that will give him the love and care he deserves. Duffy, male age est. 8 mos, was owned by an elderly couple. They found him to be more than they could handle and their training methods were not compatible with the Westie personality. They surrendered him to a shelter when they found they were unable to handle him. The shelter person worked with him and made quite a lot of progress but then the shelter closed and we got him. Since being in foster care, he has shown himself to be a good pup, able to live with the foster siblings. He is full of energy and will need someone who has time to give him activity and attention. 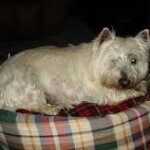 October 2011 – Duffy has found his forever home!!! Hunter, male age 2.5 years, lost his home when his owner was evicted, along with her 4 children. She had to give up her dogs. 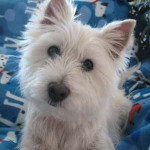 Someone adopted the dog from her for his mother who had just lost her Westie. But Mom wasn’t ready to have another dog so Hunter was surrendered to Rescue. Hunter had issues with marking but his foster home has been working on that. The first step was to have him neutered. He is learning to greet people at the door calmly and his normal doggie manners are being reinforced. Hunter is living with another, slightly larger dog and is generally doing well. He seemed to have some “man” issues but is now doing quite well with the men in the home and is able to meet new men without fear when they offer him a treat. Hunter has been adopted and is starting his new life. 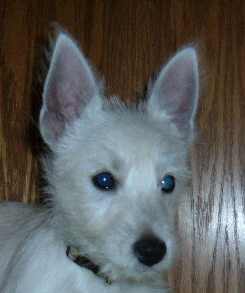 Bear, male age 13 weeks, was purchased from a breeder found in a newspaper ad. The breeder lived “up north” and drove the puppies down here to sell them. Bear went to a young working couple who had no idea the amount of time and work a young puppy can be. Bear is a very active little boy who was spending too much time in his crate. They decided that it wasn’t fair to him and they surrendered him to Rescue so he could find a new home where the people would be able to give him the time he needs. 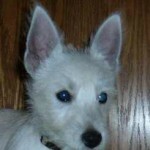 is a very friendly little guy who is getting along well with humans and dogs alike. He does a good job of self-entertainment when he is put in his pen. But he does like to run around at top speed whenever he is free. Here are additional photos from Day 1 of foster care. Bear had Giardia when he came in and constant diarhea. After three rounds of worming, antibiotics etc., he finally was declared “clear”. He was then neutered and placed in his new home. 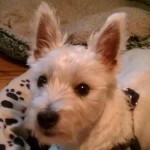 He has a sister Westie to run and play with and is a happy little boy. Ginger, age approx. 4 years, was given up, for an unknown reason. 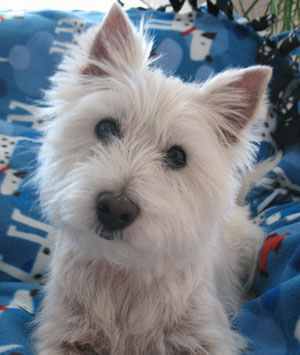 She went to a lady who had 4 westies but she gave her up because Ginger is very timid and her Westies were going after her. Ginger then went to an independent rescue person but she had so many dogs in her care that she felt we could do more for Ginger. Ginger is very shy and submissive. She is clearly fearful in some situations but she wants attention and is happy to be cuddled and loved. Ginger may have had a litter in the past. She will soon have her dental and be spayed, if needed. Her foster home will work with her on her shyness and fears. RETURN TO THE HOME PAGE USING THE MENU AT THE TOP; CLICK ON THE MENU BUTTON “APPLICATION” IF YOU ARE INTERESTED IN ADOPTING. YOU WILL FIND THE PAPERWORK AND INFORMATION THERE.